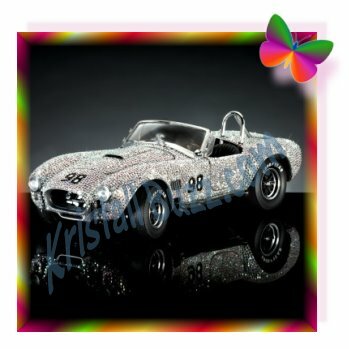 While I was doing research for the article on Swarovski Car figurines, I found that since the production of ‘Ultimate Corvette featuring Swarovski Crystals’ there have been other automobile and motorcycle figurines embellished with Swarovski crystals on the Franklin Mint web site! There is a complete article about the Swarovski Corvette here on the Kristall Buzz. The Ultimate 1933 Duesenberg Twenty Grand featuring Swarovski Crystals is a Limited Edition car, with only 100 Swarovski Duesenberg units produced. This Swarovski car has approximately 12,000 hand-set crystal stones. At the Franklin Mint web site, it had a retail price of $1495. 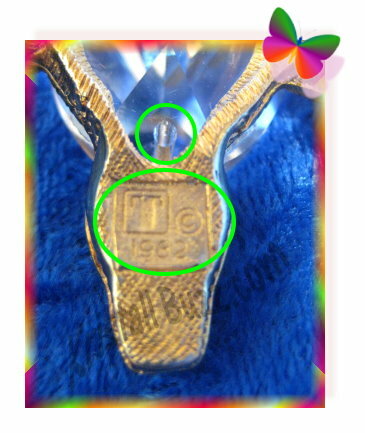 While it appears to be sold out there, I did find a couple on ebay at the original MSRP: Swarovski Duesenberg on Ebay**. The Ultimate 1966 Shelby Cobra 427 S/C featuring Swarovski Crystals is a Limited Edition car, with only 100 Swarovski Shelby Cobra units produced. 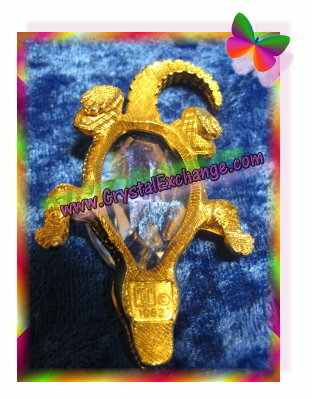 This sparkly Cobra has over 6,000 hand-set Swarovski crystal stones. This dazzling card is available at the Franklin Mint web site at $1295 or the purchase price can be broken down into 3 lower payments. 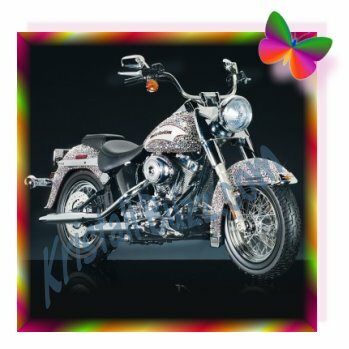 The Ultimate 2006 Harley-Davidson Softail Classic with Swarovski Crystals is a Limited Edition motorcycle, with only 100 Swarovski Harley Davidson units produced. This Swarovski motorcycle also appears to be sold out as the Franklin Mint web site indicates that they are accepting backorders. This Swarovski Crystlized motorcycle has over 3900 hand-set Swarovski crystals. If an interested individual wants this item, I’d suggest this Swarovski Harley Davidson on Ebay**, which is still at the original MSRP of $995. **I do not know the Ebay sellers and am not vouching for them. Interested buyers should thoroughly check out any seller they are considering to do business with. The links were provided for reference only. The Franklin Mint web site is one that I’ll have to bookmark and watch for future dazzling Limited Edition car and motorcycle figurines decorated with thousands of Swarovski Crystal stones! I wonder which Swarovski car or Swarovski motorcyle will be next? The Sunday just prior to Memorial Day is always a big race day: the infamous Indy 500, and the longest NASCAR race….the Coca-Cola 600. Congratulations to Dario Franchitti winning his third Indy 500 race (he also won in 2007 and 2010). 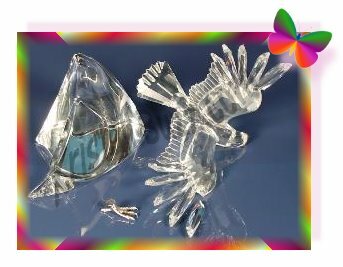 When I think about the fast cars in these popular racing events, I also think about the crystal cars that Swarovski has produced. While the crystal brand never sold and marketed them, the Swarovski Porsche cars were available at Porsche dealerships. There were eight different Swarovski car model replicas produced from 2002 through 2007. 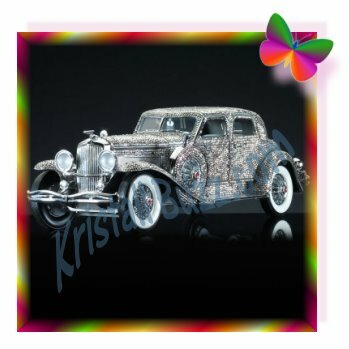 The crystal brand did offer the Swarovski Old Timer Automobile from 1989 through 1995. It was designed by Gabriele Stamey. 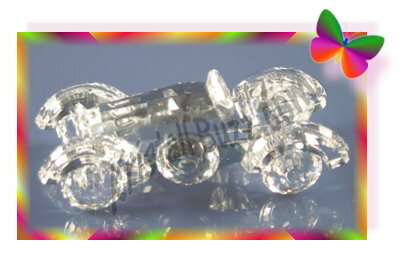 The official identification numbers for this crystal car figurine are: 7473 000 001 and 151 753. While the Swarovski Old Timer Auto originally retailed for $150, at present day, it typically trades in the $95 to $125 price range. 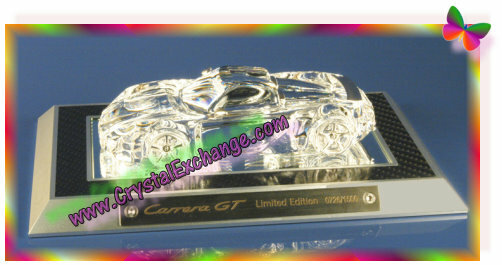 Crystal Exchange America does have a number of these retired Swarovski Car figurines available in their online store. 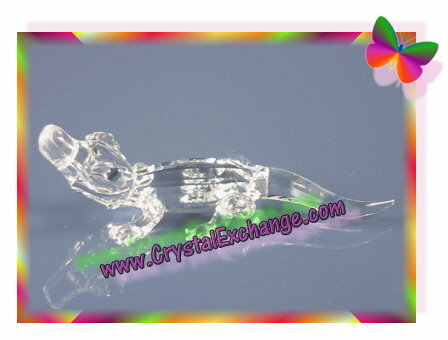 At their store web site, www.crystalexchange.com, go to the ‘Other Silver Crystal’ category, then the sub-category ‘Transportation’. The Swarovski Wild Horses were the third Swarovski NLE produced for SCS members, available in 2001. 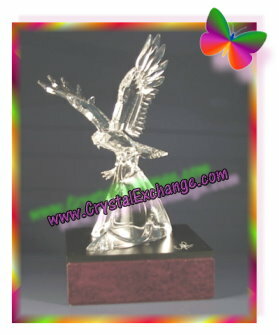 This Swarovski masterpiece celebrated 25 years for the Swarovski Silver crystal product line. The Swarovski Limited Edition Wild Horses are my favorite of the NLE that was produced by the crystal giant. The NLE Wild Horses were designed by Martin Zendron, who is credited with over 80 figurines to date. The Swarovski Wild Horses were a result researching and watching mustangs in North America and horses in the Austrian Alps. 10,000 Swarovski Wild Horses were produced, along with 150 production samples. This Swarovski NLE was the first NLE to utilize frosted accents. Frosting was used on the manes and tails, along with the flat base that the pair of clear horses is attached to. The 2001 Wild Horses is just over 13” long and is about 5 ½” tall. 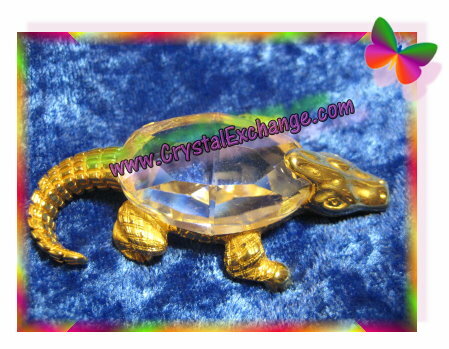 Swarovski assigned the part number 7607 000 003 and system number 236 720 to the 2001 Wild Horses. The Numbered Limited Edition Swarovski Wild Horses had the 2nd highest original MSRP of $4000, outdone only by the Swarovski NLE Rhinoceros in 2008 at $4125. On the secondary market, the Wild Horses is out-performing all the other Swarovski NLE, presently selling at $3900 – $4700 for recent transactions. 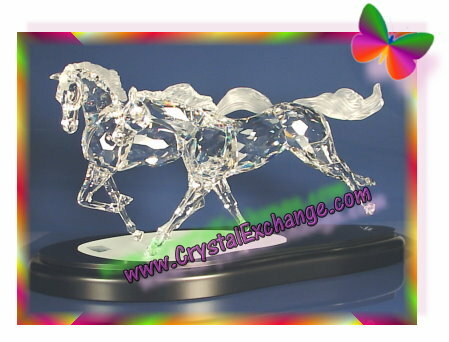 If you want to own the unique Swarovski crystal masterpiece, the Swarovski Wild Horses, available only to SCS members in 2001, Crystal Exchange America does have a few available. Simply visit their online store at www.CrystalExchange.com and then navigate to the Collector Society / SCS category, then SCS Annual & Limited Editions.